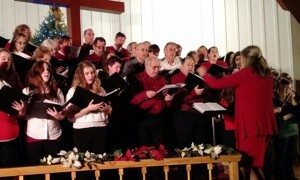 Included in the program will be a wide range of Christmas and holiday music including both favorites and originals. In addition, there will be a few surprises in the way of solos and small group numbers. Please join us for a wonderful evening of holiday cheer and great music! Under the direction of Erin Smith, the Rangeley Community Chorus is a group of twenty-five plus members which includes both year-round and seasonal residents of the Rangeley area plus members from surrounding towns. Membership in the Community Chorus is open and rotating. New singers are always welcome, and any level of experience is accepted. Please email Erin Smith if you wish to join the chorus: erinnpsmith@gmail.com.